A cheaper option for smaller residential or office usage, Q-See’s two bullet-style camera and NVR package will get you decent coverage of a couple of points of interest and great accessibility for just under four-hundred and fifty dollars. Bullet cameras are a surveillance standard, featuring a wide-angle 3.6 millimetre lens and best mounted in corners or on the eaves of buildings. Unlike their dome-style cousins, these devices are immobile, meaning you’ll be mounting them for solid, wide coverage of a single area rather than turning the lens as your needs require. Unlike higher-end QCN solutions, these aren’t pan, tilt, or zoom enabled, so don’t expect to be manoeuvring them remotely. 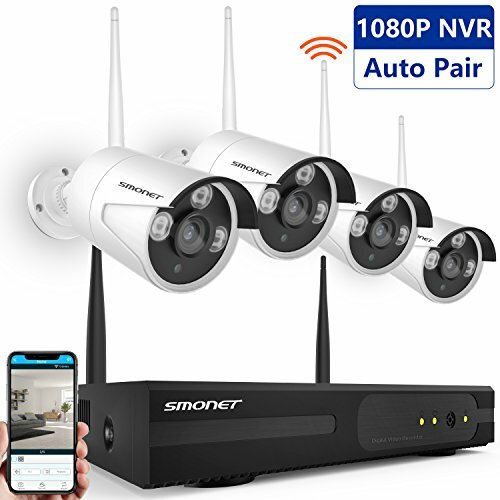 Despite bullet cameras being ideal for outdoor use, the white versions of these devices aren’t overly obtrusive in offices or larger indoor environments. If interior subtlety is paramount, consider going for a dome-style solution instead. 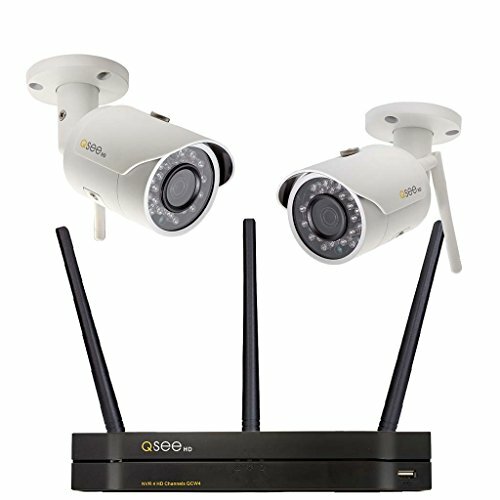 If you’re after wider network coverage of a larger commercial building or residence, then consider purchasing a larger package with more cameras. 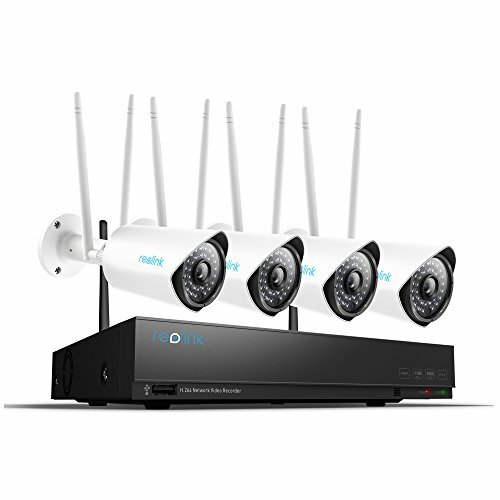 The NVR itself is four-channel, meaning there is room to expand your network with the purchase of additional cameras in the future. Wireless solutions come with a number of benefits and compromises. 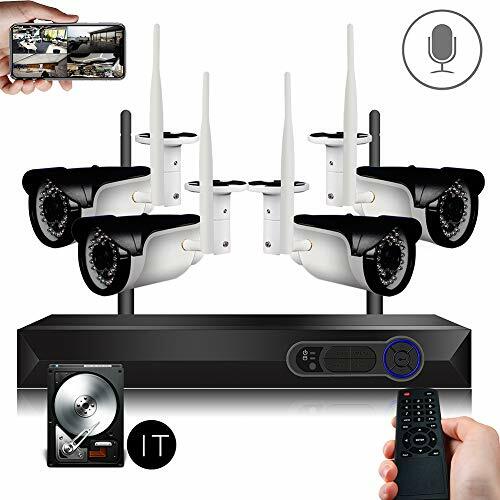 You’ll be doing less DIY as there’s no need for an elaborate network of Ethernet cables; the downside to this is that the cameras all need to be powered individually. Check before you purchase that there are power outlets within reasonable distance of the area you’re hoping to survey. The cameras themselves operate at 2.4 GHz and output 1080p true HD images, and they also come with a selection of image optimisation options as standard, so there’s plenty to play with in Q-See’s proprietary configuration software. The camera’s wireless specifications are all pretty standard: broadcasting up to 30 fps over a 2.4 GHz connection with 802.11 b/g/n standards. The effective range of the wireless signal is around 150 yards, meaning you’ll have no trouble covering points of interest at either end of your property. Walls won’t hamper transmission unless they’re particularly thick or complicated. The cameras can output a 3-4 megapixel image, though you’ll encounter up to ten dropped frames per second if you try to max out the image quality. Conversely, you can lower the resolution to 720p if you want to ensure a consistently smooth feed. There’s no zoom functionality, but the lens quality and camera type mean you’ll get decent coverage from a fixed position. The transmission quality is consistent with the hardware but, as with other Wi-Fi setups, is also reliant on the strength and quality of your network. 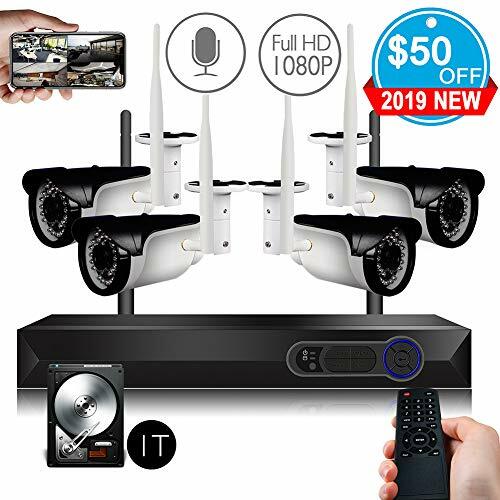 If you do find you’re having trouble achieving a reliable connection between the cameras and the NVR, it is possible to decouple any of the devices from the network and have them operate as a standalone. You’ll need to buy and install a Micro-SD card for the camera itself to save footage and you’ll lose the functionality which comes with connection to the Q-See app, but you won’t have to worry about losing footage from packet loss over a bad connection. If you’re after a comprehensive surveillance solution for a larger business or residential property then consider going with one of Q-See’s larger PoE networks. The handiwork requirements are more significant and in some cases you’ll end up hiring a professional to install the system, but the network will be a little more stable and provide much more coverage. As mentioned, the NVR itself is a four-channel model, and this means you’ll be able to double your coverage beyond the initial two cameras if your needs expand. You’ll be getting 1TB of storage as standard, which should last you at least a month or so before footage archival becomes necessary. As with other QCN models, the cameras are environmentally sealed to an IP67 standard, meaning they’ll fare well in most weather conditions, including heavy rain. They’ll keep out dust and dirt, which means fewer maintenance or replacement expenditures. The housings themselves are robust and metallic, so they should survive transit and installation with no trouble. While you won’t be laying miles of Cat5 cable to transmit date and power, each camera does have to be wired for power individually, so make sure you’ve got available power sources ready in the areas you need. QCN cameras in this range come with a variety of image optimisation options, including the three big standards: Wide Dynamic Range, Backlight Compensation, and Highlight Compensation. The first two options will reduce silhouetting of individuals in areas with strong backlighting, and are particularly useful for daytime monitoring in sunny areas. Highlight Compensation involves the darkening of overexposed areas to reveal important information such as car license plates; this makes it perfect for monitoring car parks and roads near or on your property. Q-See provides a software and installation wizard and the QR-code assisted installation available with the app make fitting the system comparatively easy. Once all is complete, you’ll also have a bunch of features for remote viewing and playback, including a rudimentary search function. Reviews generally testify to the product’s ease of installation and operation. As a wireless system it’s pretty much plug-and-play, and operation via mobile device or computer isn’t a complex process. The application is compatible with iOS, Android and Windows, with support as far back as Windows XP and Vista. One customer described the wireless setup as a ‘lifesaver’, providing much higher quality footage than previous systems at a competitive price. This camera package excels in smaller residential or office settings, where you’re only looking to keep an eye on one or two key points from a few limited angles. The bullet camera’s relatively wide viewing angle mean you’re able to see a lot from a fixed corner position, so keep in mind that you’ll be using the Q-See app purely for remote monitoring and playback rather than actively interacting with the feed. 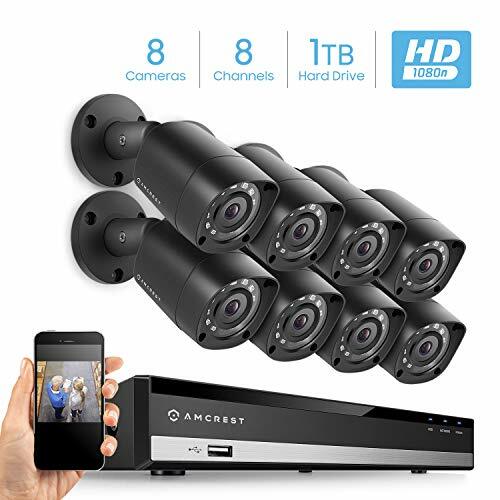 Easy to install and with the benefit of lifetime technical assistance from Q-See, these cameras make a good choice for your first small-scale surveillance solution.